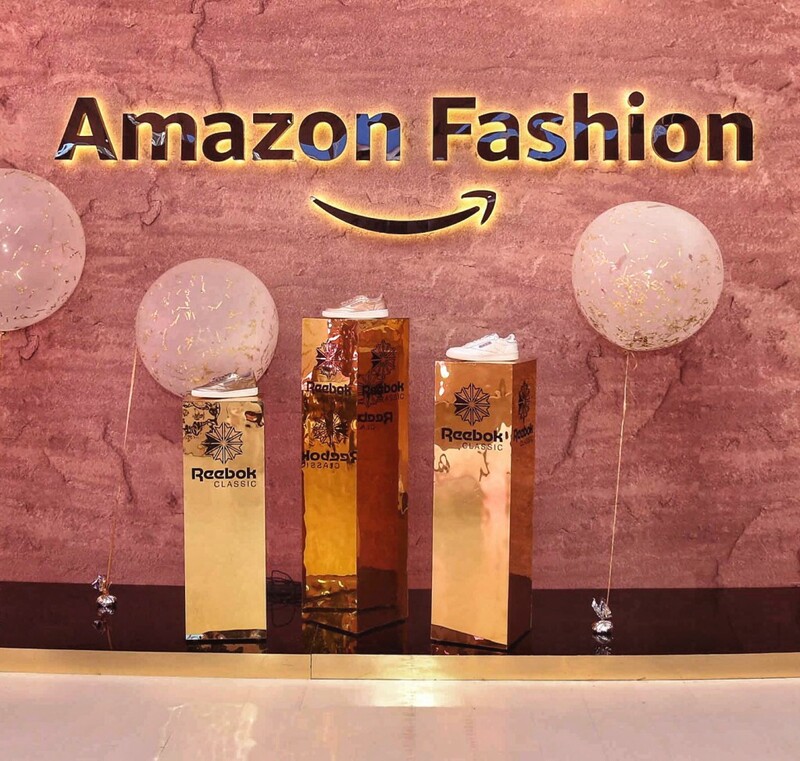 Its time for all the deets from Day 3 of Amazon Fashion Week. Day 3 kick started on a sporty note! 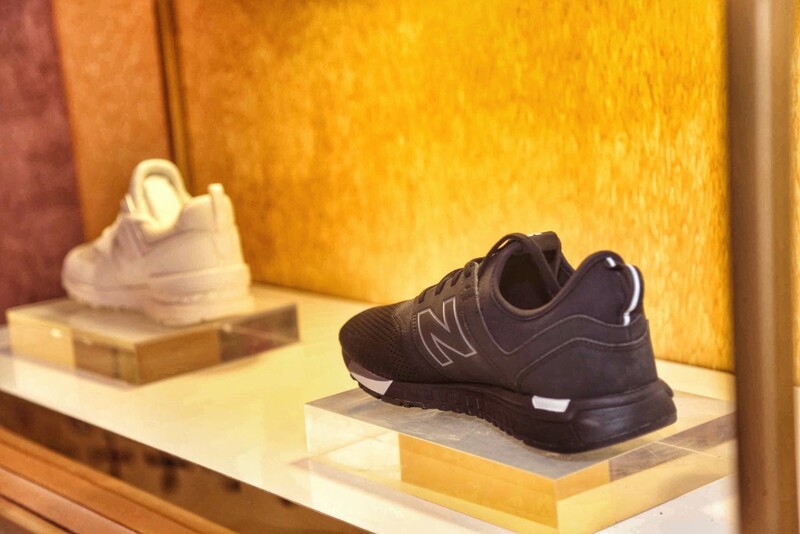 Reebok & New Balance launched their latest collection at the Amazon Designer Boutique. 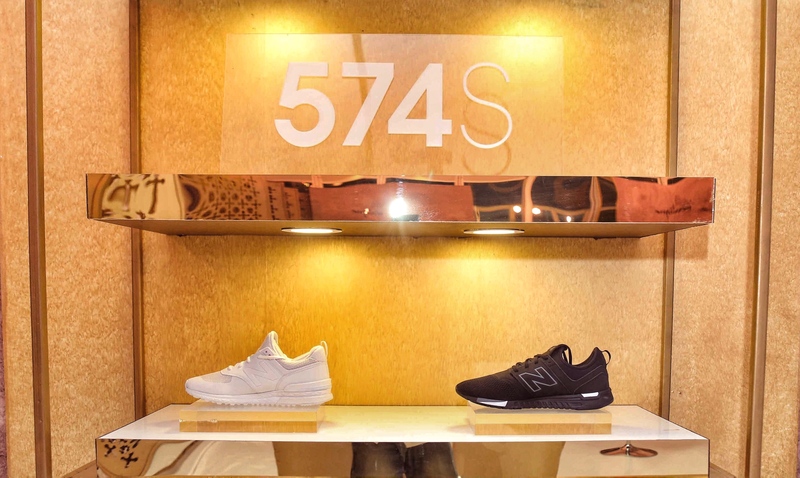 Where Reebok launched its classic collection, New Balance was all about their 574S. I am still jumping with joy that Amazon is my official wardrobe partner for this season’s Amazon India Fashion Week 2017! My day 3 look was a pick from Amazon Designer Boutique’s designer Krishna Mehta. Amazon Designer Boutique is an all new e-store by Amazon Fashion that lets you shop your favourite designers at affordable prices with just a few clicks. 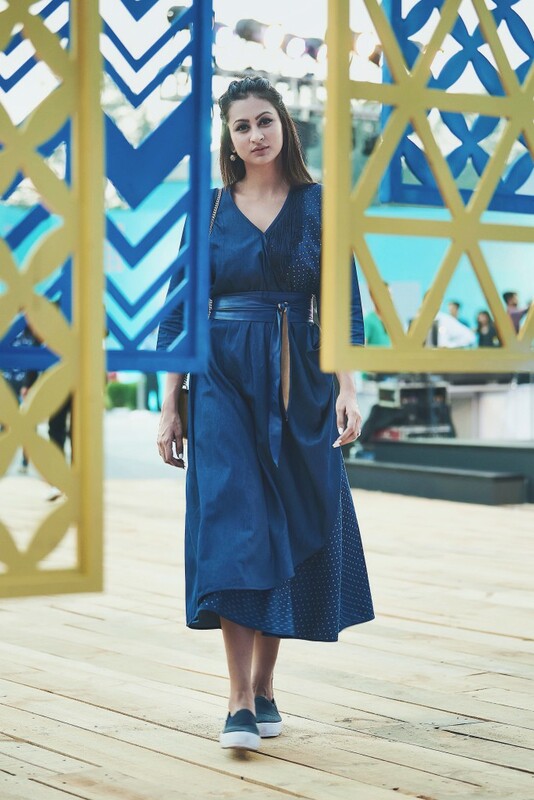 An eclectic mix of 50 established & emerging designers, Amazon Designer Boutique houses names like Rohit Khanna + Rahul Gandhi, Pankaj & Nidhi, Ritu Kumar, AM PM, Ashish Soni, Rina Dhaka and my day 3 look designer, Krishna Mehta to name just a few. Coming back to my look. Deep blue colour with a fun silhouette and tassel detailing. Where one would go with an obvious Boho look (read silver-boho jewellery) for such a number, I thought to take the unconventional and minimal route. I gave my look a monotonic favour with same colour wrap belt & platform shoes with just a delicate piece of earrings. During this time I also got to meet the designer herself. Krishna completely resonates her fun personality in to her collections. 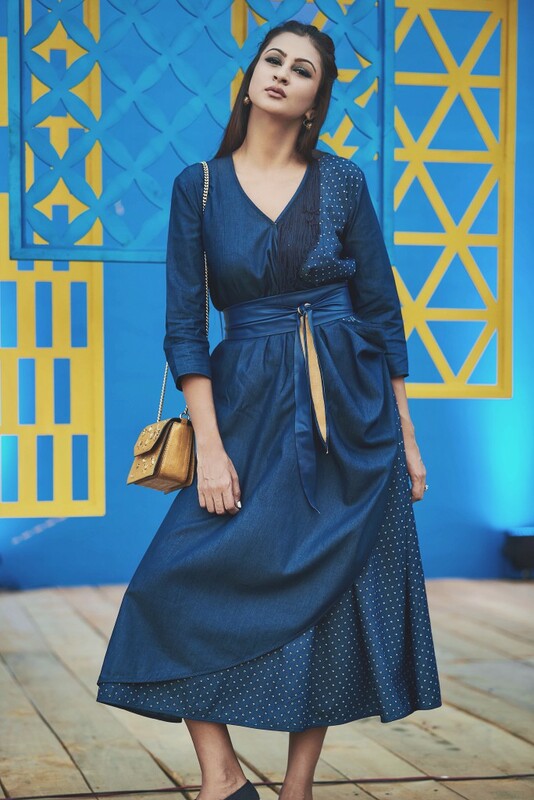 She is perfecting the art of effortless ethnic wear over 3 decades now. Stay tuned for all the updates from Day4.